Here I will post once a week with upcoming reminders, important dates, events that are happening for the week. Don't forget to check out my twitter account (@MsBWong) for more daily updates on what we are doing in class! Math: We will practice telling time to the hour and half hour. We will also practice reading a calendar. Language: Students will continue researching their animal of choice by reading texts and recording important facts. We will also continue to practice identifying nouns, verbs and adjectives in our reading and writing. Please continue to send in those shoe boxes for our animal habitats! If you are unable to find one at home please let me know. Science: Students will be learning the many ways we can help conserve energy! Health: We will be studying the new Canada's Food Guide and learn to identify foods that are in each group. ​​WWW for the week-please review: fun, night, out, on, my. As the Spring weather is arriving, our Grade 1 friends frequently find themselves in the mud or puddles or mud puddles! Please ensure your child has extra socks, mitts, pants (labelled) in case they require a change during the day. Thank you! Please continue to check our Twitter page for daily updates and photos of our learning journey! Math: This week we will begin our unit on telling time. We will practice telling time to the hour and half hour. Language: We will explore various non-fiction texts and their text features (e.x. pictures, index, captions, titles, glossary etc.) Students will begin researching their animal of choice by reading texts and recording important facts. We will also continue to practice identifying nouns, verbs and adjectives in our reading and writing. A note went home regarding our Animal Research project. It is also attached below this post! Science: Students will be learning about different sources of energy (e.x. electric, gas, muscle, wind and sun). With Earth Day coming up, we will begin to brainstorm ways we can conserve energy. ​​We will be going back to our WWW from the beginning of the year. This weeks will be: ride, old, can't, his, after. A WWW assessment will be coming home outlining which words your student has mastered and which ones still need daily practice. Math: We will continue to practice counting money with mixed coins and adding money amounts to 20 cents. ​Skip counting by 2's, 5's and 10's help students to count coins more easily. Please continue to practice this at home! Language: We will continue to work on descriptive writing and practice using adjectives in our writing. We will begin brainstorming ideas for our Animal Research Projects this week (students will select an animal of their choosing that they would like to write about). We will also learn about actions words (verbs) and identifying them in our reading and writing. Please practice the WWW at home on a daily basis as they help with your child's fluency in reading and writing. Science: We will continue our unit on Energy and are looking at energy chains and different sources of energy. ​​We will be going back to our WWW from the beginning of the year. This weeks will be: we, said, for, like, up. THANK YOU to all our Grade 1 friends for contributing to our Lenten project. We have collected countless bags and boxes of items for our friends at the Humane Society. Our students also made cards with positive messages for all the furry animals! They are truly one caring bunch! Math: Adding and subtracting practice will be ongoing for the remainder of the year. We are moving onto our money unit! We will start learning about the different coins and how much they are worth. We will also begin to count money amounts. Language: We will continue to work on descriptive writing (describing our friends, family, stuffies etc.) and practice using adjectives in our writing. We are learning about nouns and begin to identify them in our reading and writing. Science: We have started our unit on Energy. We will be learning about how our bodies need energy to work. ​​We will be going back to our WWW from the beginning of the year. This weeks will be: here, come, the, is you. Our Grade 1 Lenten project will be running all week. We are collecting items for our furry friends at the Ottawa Humane Society. If you would like to donate anything, there is a wishlist on the back on the note (PDF file down below) for items that are in need. Any donations would be greatly appreciated! Math: We will continue to look at part-part-whole relationships as well as addition/subtraction to 10. Language: We will begin to work on descriptive writing (describing our friends, family, stuffies etc.) and practice using adjectives in our writing. Science: We have started our unit on Energy. We will be learning about how the sun is an important source of energy in our lives. ​​WWW for the week: teacher, off, did, jumped, won't. Our WWW monthly check-ins will be coming home this week before March break. This Wednesday, we will be attending our Ash Wednesday mass in the gym at 10:50. It is our library week this week! Please ensure all books are returned by this Friday to borrow a new book! If you have not done so already, please take some time to review the report card with your child. The envelope and slip on the last page need to be returned ASAP. Math: We will be exploring different ways to make 10 and looking at part/part/whole relationships. We will also begin to look at adding to 10. Language: We are still focusing on writing 2 SUPER sentences (capitals, periods, WWW spelled correctly). We are learning about descriptive words (adjectives). We are working on making text-to-self connections while reading. Our Winter Play Day has been rescheduled to THIS Friday morning. Please ensure your child is dressed for the weather as we will doing outdoor activities for majority of the morning. Extra socks/mitts are always appreciated! Term 1 Report Cards were sent home last Thursday in your child's mail bag. Please take some time to review it with your child. The envelope and slip on the last page need to be returned ASAP. Math: We will be exploring different ways to make 10. We will also begin looking at part/part/whole relationships. Science: We will be learning about animals in the winter (one's that hibernate, migrate and adapt). Music: We will use boomwhackers to produce music. Report cards will be going home Wednesday, February 13th. Interviews will be by parent or teacher request. Math: We are working on understanding numbers to 50 (1 more/1 less, comparing numbers, odd/even numbers). We will also begin to look at the many ways we can make the number 10. Language: We will continue to practice our reading strategies to help us read levelled books. We will also focus on writing 2 SUPER sentences (capitals, periods, WWW spelled correctly).​ We are working on practicing our blends sounds. Science: We will be learning about reduce, reuse and recycle! Music: We will be exploring rhythm and beat through a variety of games. We will also use the boomwhackers to produce music. Math: We are working on understanding numbers to 50 (1 more/1 less, comparing numbers, odd/even numbers). Science: We will be doing a variety of culminating tasks to wrap up our unit on Structures. We will also be exploring the season of Winter. Family Literacy Day is THIS Sunday, January 27th. Please stay tuned for more information regarding this! As the flu season is in full swing, we are asking for tissue box donations to help get our sniffly noses through the season. If you have any to spare, please send them to school with your child! Scholastics for February will be coming home on Monday. They will be due back Thursday, February 14th! Math: We will continue learning about graphs (interpreting data, using terminology like more/less, creating survey questions and pictographs). Language: We will continue to practice our reading strategies to help us read levelled books. We will also focus on writing SUPER sentences. A writing assessment will come home this week for you to see your child's progress. Science: We will be doing a variety of culminating tasks to wrap up our unit on Structures. We will be going to the library this Friday. Please ensure all library books are returned before then! The Christmas Season is in full swing and our classroom is filled with Christmas spirit. Each day we take time to read story from our Advent calendar. These stories are helping us to understand the true meaning of Christmas. Students worked together to create this note for you. To make our Christmas Concert more magical, we were hoping to each wear a Santa hat (the ones that are found at the dollar store) and red and white outfits. We have been working really hard to sing a song for the ones we love and we can’t wait to share this gift with you. We hope you enjoy it as much as we love you. We wish you a Merry Christmas and a Happy New Year! Please let me know if you have any questions or concerns regarding our Christmas concert. If possible, we ask that the Santa hats be sent in (labelled) by Monday, December 17th. This allows students the opportunity to practice our performance with them. Thank you! Math: We will continue to look at 3D shapes through math stations. Language: We have started learning about procedural writing and making "How to" instructions. We will be writing about "How to Build a Snowman" this week! Students will continue to work on writing SUPER sentences through journal entries (capital letters, finger spaces, punctuation and WWW). We will continue to work on writing recounts focusing on who, what, when, where details. We will also continue to explore digraphs and blends. ​Science: We will take our knowledge of strong structures and materials and begin construction on a little home for our Kindness Elf, Peppermint! ​We created a list of materials, fasteners, objects, properties, and characteristics that we would like to see in our structures. Roof (Cardboard and tin foil), Door (Cardboard), Windows (plastic wrap and straws), Bed (Cardboard and cotton balls), Walls (cardboard), Tape, Glue. It has to be waterproof (plastic wrap/tin foil) and it need to be warm (soft things inside the house). Religion: Our second Advent Liturgy will be held this Monday. Our Advent wreaths are still making their way to each of your homes for the night. Students are invited to set up the wreath at the dinner table and say the prayer included in the bag. There is also a Christmas story for you to read as a family and a book where students can write/draw Advent blessings for our class. It is our library day this FRIDAY. Please ensure all books are returned prior to Friday so that we may borrow new books! Math: We will be wrapping up 2D shapes this week and beginning to look at 3D shapes. Language: We will continue practice with our vowel sounds and word families. Students will work on writing SUPER sentences through journal entries (capital letters, finger spaces, punctuation and WWW). We will continue to work on writing recounts focusing on who, what, when, where details. We will also continue to explore digraphs and blends. ​Reading Strategies: We are starting to learn strategies to help us when reading. A bookmark will be coming home soon with all our strategies so that you may use them at home as well. Science: We will continue exploring different materials that make up structures. Religion: Our first Advent Liturgy will be held this Monday morning (10:00am) in the gym. WWW for the week: talk, her, she, they, have. Please continue to practice previous WWW with your child at home. Math: We will continue to work on math stations that help to reinforce our knowledge of 2D shapes. Language: We will continue practice with our vowel sounds and word families. Students will work on writing SUPER sentences through journal entries (capital letters, finger spaces, punctuation and WWW). We will continue to work on writing recounts focusing on who, what, when, where details. We will also begin learning about digraphs and blend sounds. Science: We will learn about different materials we see in structures and their purpose. Art: We have been exploring different types of lines and how we can use them to create art. ​Religion: We will learn how God made our world. WWW for the week: day, car, with, of, how. Please continue to practice previous WWW with your child at home. Our monthly WWW check-in will be coming home this week if it has not already! Photo Retakes will take place Thursday, November 29th. If you would like your child to retake their photos, please write a note in the agenda. Scholastic book orders for November and December are due Nov. 30. Please let me know if you plan to give any books as Christmas gifts so that I can keep them a secret from your child! This week is our week to visit the Library! Please ensure all books are returned by FRIDAY so that your child may check out a new book to read! Math: We will work on math stations that help to reinforce our knowledge of 2D shapes. Language: We will continue practice with our vowel sounds and word families. Students will work on writing SUPER sentences through journal entries (capital letters, finger spaces, punctuation and WWW). We will continue to work on writing recounts focusing on who, what, when, where details. Science: We will continue to describe characteristics of objects and structures. We will begin exploring different materials. WWW for the week: not, big, and, go, went. Please continue to practice previous WWW with your child at home. Our monthly WWW check-in will be coming home shortly (either this week or next). This week is Bully Prevention and Awareness Week! Grade 1's will be doing various activities that reinforce the importance of spreading kindness and being an up stander. 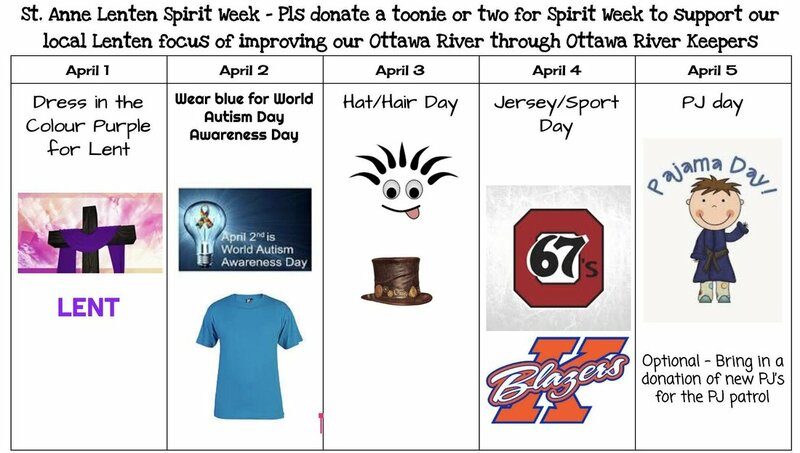 Students are encouraged to wear BLUE on Thursday to show that we are up standers! ​I will be sending home Scholastic book orders for November and December this week. They will be due Nov. 30. Please let me know if you plan to give any books as Christmas gifts so that I can keep them a secret from your child! Language: We will continue practice with our vowel sounds and word families. Students will work on writing SUPER sentences through journal entries (capital letters, finger spaces, punctuation and WWW). We will also begin writing recounts focusing on who, what, when, where details. Science: We will learn to describe characteristics of objects and structures. Students will begin to understand that each characteristics has a purpose. WWW for the week: boy, girl, but, your, play. Please continue to practice previous WWW with your child at home. ​If you're looking for some fun ways to practice WWW at home, I've attached a file at the bottom of this post! Math: Students will be wrapping up with patterns with some math stations this week. And we will be looking at starting 2D shapes next week! Please continue to practice skip counting by 2's, 5's and 10's at home. Language: We will continue practice with our vowel sounds and word families. Students will work on writing SUPER sentences through journal entries (capital letters, finger spaces, punctuation and WWW). We will also begin to talk about recount writing (who, what, when, where). Science: We will continue investigating natural and man made structures this week and begin looking at different materials we use to make objects. WWW for the week: are, can, little, down, see. Please continue to practice previous WWW with your child at home. A list of the words your child has mastered went home last week for you to get an idea of which ones still need practice. Parent teacher interviews are this Wednesday night from 4-8:30pm. An e-mail was sent out last Thursday regarding signing up for a time slot. I am looking to speaking with you about your child's progress so far in Grade 1. Math: Students will be continue to skip counting through work with 100's charts. We will continue to work with patterns (creating, identifying, extending). Please practice skip counting by 2's, 5's and 10's at home! Language: We will continue practice with our vowel sounds and word families. Students will work on writing SUPER sentences through journal entries (capital letters, finger spaces, punctuation and WWW). Science: We will review what "object" and "structures" mean. Students will also learn the difference between natural and man made structures. WWW for the week: fun, night, out, on my. Please continue to practice previous WWW with your child at home. A list of the words your child has mastered went home last week for you to get an idea of which ones still need practice. Progress reports will be going on this Thursday, November 1st. Information regarding parent teacher interviews will be coming shortly. Math: Students will be continue to skip counting through work with 100's charts. We will be starting our unit on patterns. Students will create various patterns and learn the term "attribute". Please sign and return the math sheet that was sent home last week ASAP! Language: We will continue practice with our vowel sounds and word families. Students will work on writing SUPER sentences through journal entries (capital letters, finger spaces, punctuation and WWW). A writing sample will be coming home this week for you to take a look at your child's progress. Science: We will begin exploring our unit on Materials and Structures. WWW for the week: can't, old, ride, his, after. Please continue to practice previous WWW with your child at home. Recognition of these words is crucial for students when beginning to read. Students are encouraged to use their wonderful creativity and imagination at our Creation Station to express themselves and their ideas. The Creation Station provides students with the opportunity to collaborate with one another in an open-ended way. If you have any extra small craft items that you could donate, our class would really appreciate it. SAVE THE DATE: Picture day for Grade 1's will be THIS Wednesday, October 24th. Please take a look at the "Important Dates" tab as new dates have been added for November! Math: We will be taking a look at numbers to 50 this week. Students will be introduced to skip counting through work with 100's charts. Students will also be bringing home a piece of work showcasing how we represent numbers. Language: We will continue practice with our vowel sounds. Students will work on proper letter formation/finger spacing, using WWW and stretching out unfamiliar words in our journal entries this week. Science: We will investigate how plants and animals change during the seasons. WWW for the week: for, like, up, we said. Please continue to practice previous WWW with your child at home. Recognition of these words is crucial for students when beginning to read. Scholastic Book Orders will be due this coming Friday, October 19th. SAVE THE DATE: Picture day for Grade 1's will be on Wednesday, October 24th. Math: We will continue with our Math stations this week to help us practice our number sense. We will begin investigating place value (tens and ones). Language: We will be learning about short and long vowels. We will practice proper letter formation and finger spacing through our weekly journal entries. Science: We will investigate how the sun is our primary source of heat and how it affects the seasons. Religion: Grade 1's will look at how to create a positive digital footprint online and how to be responsible in the digital community. The St. Anne Grade 1 Community would like to support the needs of the many people affected by last week's tornado by sending personal hygiene products to Dunrobin. We will be collecting these items until Thursday, October 4th. October's homework calendar will be sent home on Monday. The completion of the calendar is highly recommended as the activities support the thinking and skills that are being developed on a daily basis in the classroom. Attached to the homework is a complete list of the Word Wall Word's (WWW's) we will be learning this year. A note was sent home this past week regarding our field trip on November 13th, 2018. Please fill out both sheets and return ASAP. Jump Rope For Heart: We will be participating in Jump Rope for Heart on Friday, October 12th. Pledge forms were sent home on Friday and can be returned up util the date of our event! Math: We will be starting our Math stations this week to help us practice our number sense. We will continue exploring different ways to represent numbers to 20 (ex: tallies, ten frames, pictures, dice). Language: We will continue to review proper letter formation and isolating letter sounds at the beginning and end of words. We will practice sounding out words through journal entries. Science: We will be learning about "cycles" and about day and night. Religion: Grade 1's will learn what it means to have access to technology, and how to keep ourselves safe online. Scholastic book orders were sent home last week. Deadline to order will be Wednesday, September 19th. 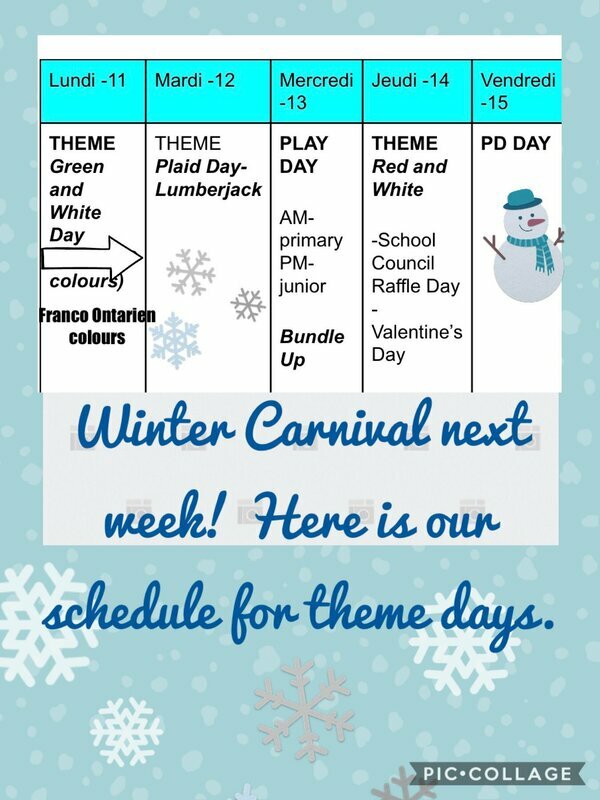 Here is our colour day schedule (you can also find this attached in your child's agenda). Math: We will be starting to work on reading and printing numbers to 10. We will also start exploring different ways to represent numbers to 20 (ex: tallies, ten frames, pictures, dice). Language: We will review proper letter formation and isolating letter sounds at the beginning and end of words. We will begin sounding out words through journal entries. Science: Our investigation on daily and seasonal changes will begin as we take a look at the season of summer and what we can look forward to in the fall. Religion: Grade 1's will understand how Jesus was a good citizen and what it means for us to be good citizens. I will be sending Scholastic Book Orders home this week. Deadline to order will be Wednesday, September 19th. Thank you to everyone who generously brought in school supplies for our class. The only thing I am requesting is tissue boxes, especially with those fall/winter days creeping ahead. We will need all the tissues we can get for those little runny noses. Each student needs a pair of indoor running shoes to keep at school and wear while they are in the class. If you haven't sent any to school with your child, please do so as soon as possible. Meet the Teacher night is THIS Thursday September 6th! It is drop in style from 5:00pm to 7:00pm. You will get a sneak peak into our classroom and your child can show you around. I am looking forward to meeting as many of you as possible. Your child was given an agenda today that they will use daily to communicate reminders. Please make sure that they are bringing it back to school every day!